Remember the Galaxy J2? You probably don’t, and that’s okay. Launched last year as the cheapest device in Samsung’s Galaxy J lineup, the Galaxy J2’s claim to fame was its Super AMOLED display. The rest of its hardware was extremely unimpressive, and the J2 flew under the radar as a result. It wasn’t very widely available either, but according to Samsung, it went on to become the best-selling Galaxy smartphone, at least in the Indian market. Still, it is surprising to see that the Korean manufacturer has put so much work behind the Galaxy J2 (2016), the successor to the Galaxy J2. Samsung hasn’t made major changes to the hardware, but the device is special because of its Smart Glow notification ring, a feature developed by Samsung India as an alternative to a regular notification LED. Samsung has also put in what it calls Turbo Speed Technology (TST), a fancy name for software optimization the company says improves performance despite the underpowered hardware ticking away inside. The Galaxy J2 (2016) is Samsung’s attempt to stay relevant in the extremely competitive budget smartphone segment in markets like India, and the company is hoping people will see features like Smart Glow, TST and S Bike Mode as reasons to pick the device over the competition. But do these features really make the sequel to a run-of-the-mill smartphone worth buying? Continue reading our review to find out! Samsung has made notable upgrades to the design of the original Galaxy J2, so much so that the 2016 iteration looks nothing like its predecessor. The screen size has been bumped to 5 inches (from 4.7 inches), making the device bigger in size. The overall look from the front is no different than other budget Samsung smartphones, but the back is where the major changes come into play. 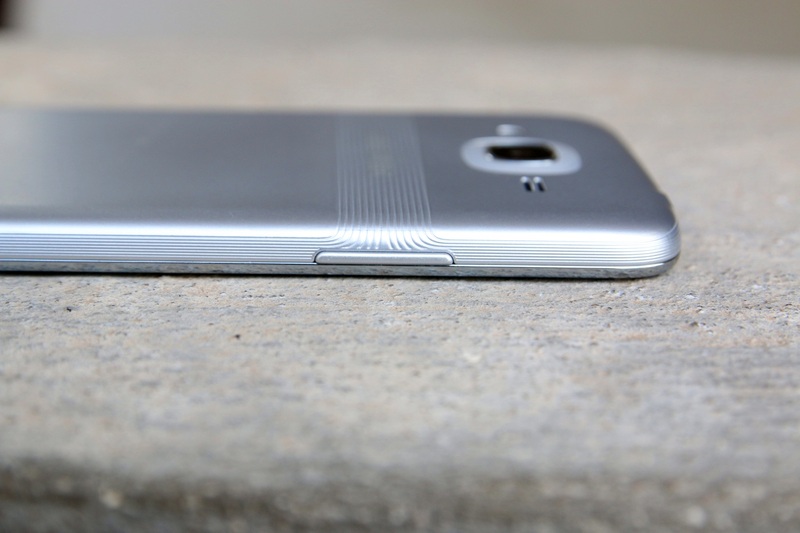 Remember the stripes that ran around the sides of the Galaxy Note 3, giving it a notebook-like look and feel? 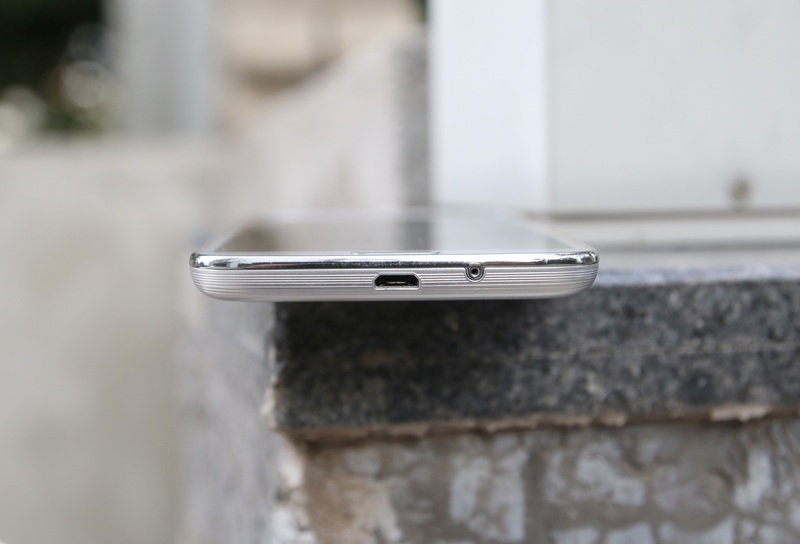 The Galaxy J2 (2016) has a similar texture around the sides of the removable back panel, and these stripes also make their way across the middle of the panel right below the camera, speaker and LED flash. Samsung’s logo is imprinted on these stripes, and all of this makes for a rear design that’s rather different from what we have seen on any mainstream Galaxy smartphone in the past. Of course, the Smart Glow notification ring around the camera is the main attraction, diverting the J2 (2016)’s design even further away from existing Galaxy smartphones. Sadly, the ring hasn’t been very well designed – it’s too big and noticeable, and while it doesn’t look that bad when it is unlit, that quickly changes once it starts notifying you with different colors (something we will look at in a dedicated section below). The rest of the design is standard fare for Samsung – a home button flanked by back and recent apps keys on the front, a microUSB port at the bottom, a headphone jack at the top, and volume and power buttons on the left and right sides. The Galaxy J2 (2016) is the first budget phone from Samsung to come in silver, and I have to say the color helps the J2 (2016) look more premium than it actually is. It doesn’t feel that great in the hand because of the all-plastic build, but you won’t get a feeling of cheapness either. I just wish Samsung had stuck with the soft-touch rear panel from the original J2, which would have improved both ergonomics and in-hand feel. But then the company wouldn’t have been able to put those stripes on the back, so I guess it is a trade-off for adding visual flare to the design. The Super AMOLED display on the Galaxy J2 was the best thing about the device, and that continues to be the case with the J2 (2016). The screen resolution has shot up to 720p from qHD, but since the display is bigger by 0.3 inches, the increased resolution doesn’t really make for a sharper viewing experience. But other than that, the display is pretty good. Deep blacks, high contrast and wide viewing angles are all part of the package as befits a Super AMOLED display. Brightness levels are good, with an Outdoor screen mode for increased legibility under harsh lighting conditions. Like every other budget Samsung phone, there is no ambient light sensor on the Galaxy J2 (2016), an omission I have already complained about in a recent post. Samsung does, however, let you change the display mode, similar to how you can do it on costlier Galaxy devices. There are Adaptive Display, AMOLED cinema, AMOLED photo and Basic modes to choose from, with Basic being the most accurate and also the most yellowish. Don’t bother changing the display mode though, as you really need to be on the default Adaptive Display option to get the best out of the J2 (2016)’s Super AMOLED panel. I did find issues with the touchscreen response. Swiping on the keyboard gave me the wrong word quite a few times, and it’s like the screen can’t keep up with my fingers. Maybe a software update will fix this, but it remains the only major point of contention on the J2 (2016)’s display. We would generally tackle a phone’s performance or camera this early into the review, but for the Galaxy J2 (2016) that honor has to go to the Smart Glow notification ring. With Smart Glow, Samsung wants users to have a cool way of being notified, but right off the bat the idea falls flat as Smart Glow is on the back of the phone. Samsung says college kids like keeping their phone upside down while sitting around with friends, so that they can keep the phone from distracting them. The problem is, most folks buying the J2 (2016) are unlikely to be students or college kids – those college kids are probably hip enough to have opted for better smartphones from Chinese manufacturers like Xiaomi. But once you get past the rear side placement, Smart Glow is unique in the sense that it is more customizable than a regular notification LED that you find on smartphones. Instead of just a couple of colors, Samsung lets you customize the light via an RGB scale. It’s not a full-fledged RGB selector that you see in photo editing apps – the Red, Green and Blue sliders have ten different levels that you can mix and match, but it still makes for a high degree of customizability for your notification colors. Sadly, Smart Glow cannot be enabled for all apps or notifications. You can only make it glow for four different apps or contacts (a total of four, not four apps and four contacts), which many might consider severely limiting. Smart Glow can also notify you when the battery is low, your data usage is above your usage limits, or when the storage has been filled to a certain extent. Perhaps the biggest use of the ring is for the rear cam selfie mode in the camera. You can aim the rear camera at yourself in this mode, and once the phone detects your face, it will light up the Smart Glow ring. If your faces are not properly aligned in front of the camera, the ring will light up only halfway. As I said in the design section above, the Smart Glow ring is a tad too big, and some might consider it ugly once it lights up. Furthermore, since I never keep my phone with the rear side up, the ring was completely useless for me. In fact, when Samsung was introducing the J2 (2016) in front of a roundtable audience, I couldn’t help but notice that only one guy had his current phone upside down on the table. Perhaps a ring around the home button up front would have been more useful, although having the ring light up in your face all the time would have been even uglier than the rear-facing ring on the J2 (2016). Smart Glow is a novel feature for a phone that costs less than $200, but in the end it’s not something that is truly useful. A regular notification LED on the front might not be as customizable as Smart Glow, but at least it’s visible at all times and not as in-your-face. Right now, none of Samsung’s non-flagship phones have a notification LED, and maybe the company should rethink that strategy instead of wasting resources on something like the J2 (2016)’s Smart Glow ring. The Galaxy J2 (2016) brings a considerable upgrade in the camera department. Replacing the 5-megapixel and 2-megapixel rear and front cameras of the original J2 are 8-megapixel and 5-megapixel sensors. An 8 MP rear camera isn’t the least bit interesting, but the front camera’s resolution is now on par with that of Samsung’s flagship smartphones. How do these cameras perform? Well, not great, as one would expect from such a low-cost device. The rear camera can’t capture enough detail no matter what time of the day you take your photos, although it does keep daylight photos mostly noise free and good-looking as long as you don’t zoom in. Photos look pretty drab in overcast conditions and indoors, a problem that most of Samsung’s budget smartphones suffer from. Focusing can also be slow when the lighting isn’t good; naturally, low-light performance at nighttime is nothing to write home about. As was the case with the original J2, the front camera on the J2 (2016) offers better performance despite having a lower-resolution sensor. There’s a level of detail almost similar to what the rear camera offers. It’s not a lot, but unless you zoom in, selfies look pretty good overall as long as there is sufficient light around. There’s a gesture for quick selfie capture – just hold out your palm in front of the camera for a few seconds and the phone will then take a timed photo. The camera app can be launched quickly by double pressing the home button, a shortcut that is available on pretty much every Samsung device that has come out since 2016. In terms of shooting modes, you get Panorama, Pro, Beauty face, Rear cam selfie and Sports for the rear camera. There is no HDR mode available, and the Pro mode is also pretty basic and simply lets you customize things like white balance and exposure. Here are a few camera samples. 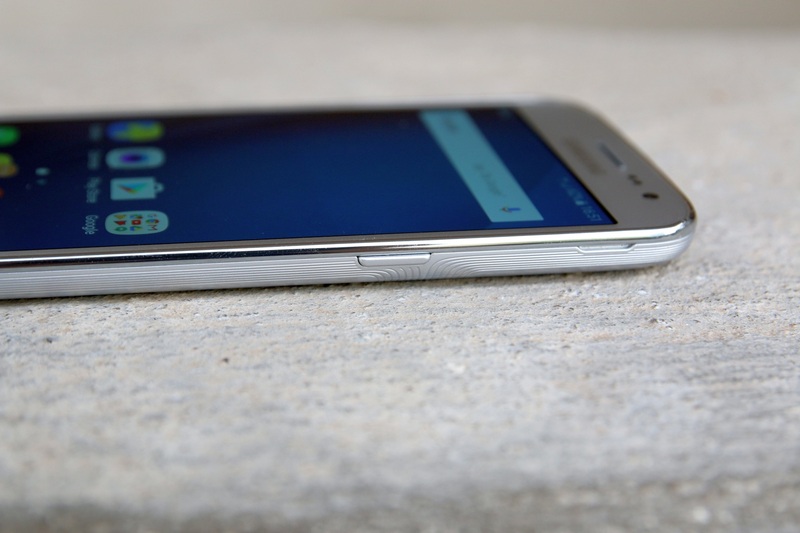 The Galaxy J2 (2016) runs Android 6.0.1 Marshmallow out of the box, with the latest version of Samsung’s TouchWiz interface on top. Like other Galaxy J devices, there are a few exclusive features here that aren’t available on any other Galaxy lineup. S Bike mode, which debuted on the Galaxy J3 and later came to the both iterations of the J5 and J7, is available on the new J2 as well. According to Samsung, 56 percent of users who have a phone with S Bike mode use the feature for more than 90 minutes each day, which are impressive numbers. There is also Ultra Data Saving Mode, which is basically the Opera Max app and compresses all incoming and outgoing internet data traffic. On the J2 (2016), Ultra Data Saving Mode has been upgraded to compress data on Wi-Fi and music streaming as well. The Galaxy J2 (2016) also introduces Smart Notifier. What this does is categorize Android’s regular notifications as Priority, Utility and Social notifications in the status bar. There are times when your phone has too many notifications, and Smart Notifier basically removes the problem of having to scroll through a huge list of notifications to find what you need. You can even decide what app’s notifications go into which category. The J2 (2016) comes preloaded with Microsoft apps like Word, Skype and OneNote. Themes are supported as well, although you can only choose from four preloaded themes as there is no option to access the Theme Store. This is a forced limitation, as the Galaxy J5 and Galaxy J7 (2016) have the same screen resolution and do support third-party themes. The reason behind this is probably the fact that the J2 (2016) comes with a couple of software features not found on other Samsung devices, and third-party themes would probably not be able to cover everything when it comes to making visual changes to the OS. A nifty feature Samsung has added to the J2 (2016) is a lockscreen shortcut that gives you quick access to various tools. This shortcut button lies between the two app shortcuts on the lockscreen – you can swipe on the button to access the flashlight, calculator, FM radio and a mirror mode that uses the front camera to show you your face. Samsung says this can come handy when you arrive at a destination and want to quickly check how you’re looking. I personally never used the mirror, but I can see how it could be useful for others. A quad-core Spreadtrum processor clocked at 1.5GHz and accompanied by 1.5GB of RAM power the Galaxy J2 (2016). If that sounds like it isn’t enough, well, you’re right. Instead of upgrading the hardware, Samsung has introduced what it is calling Turbo Speed Technology, or TST for short. The company says it has reduced the memory footprint of native apps like the dialer, messaging and gallery so that they take up less memory. TST also proactively kills idle background tasks after a while to free up memory, which Samsung says keeps the performance of the phone fast and lag-free at all times. It might sound interesting, but TST can work either ways. The J2 (2016) almost never slowed down because of the background task killing, apps did load quickly, and browsing through Chrome was mostly issue-free but regular things like app loading animations and switching between apps were full of stutter because of the underpowered processor. Also, the fact that performance was good enough despite the not-so-powerful hardware might be because my review unit had next to no third-party apps installed. The 8GB of internal storage is used up by more than half out of the box with preinstalled apps that cannot be removed, leaving space for only a few apps that I cannot live without. But that’s not it. Once apps like Facebook and others started piling up data, storage space got further low and I had to remove more third-party apps to keep things running. I’m not even sure about the gaming performance of the J2 (2016) – there was just no space to install any games and try them out. It is just downright silly that a phone comes with 8GB of internal storage in this day and age, and it severely limits the usefulness of the device. Like I said earlier, regular usage is probably as lag-free as it is because you can barely install 7-8 apps without running out of storage. If you’re wondering, the J2 (2016) does support USB OTG, with a USB Backup app preloaded to allow you to backup your data to a flash drive. Audio quality was another problem with the J2 (2016). The earpiece wasn’t loud enough even in quiet environments, and the network reception also seemed to interfere with call quality (although the phone never had issues latching to my carrier’s 4G network). The loudspeaker on the back is as basic as it gets, and the supplied earphones don’t sound great either. I would recommend getting a third-party earphone/headphone for improved sound both in regular media viewing and calls. The Galaxy J2 (2016) is powered by a 2,600 mAh battery, a full 600 mAh more than the original J2’s. For the most part, the device got me through the day with some battery to spare, but only with medium usage that included a few emails, Instagram, Facebook, WhatsApp and browsing through Chrome. With heavy usage I could achieve around 3.5 to 4 hours of screen time but nothing more, which is considerably lower than what the Galaxy J3, Galaxy J5 (2016) and Galaxy J7 (2016) can offer. These battery life figures are with a single SIM, and I’m guessing popping in another card will reduce the endurance a bit. But with anything except continuous usage, you can expect to keep your phone off the charger until the next morning, and maybe even more if you don’t actively use your device. Speaking of charging, that takes a little over two hours – that’s a long time for a phone to charge in the age of fast charging smartphones, but it’s pretty normal for devices in the budget segment. After a couple of weeks of using the J2 (2016) as my primary smartphone, I came away with mixed feelings. With basic usage, this phone runs pretty well, and Samsung’s TST feature seems to do a good job of keeping performance stable at all times. There’s a lot of stutter here and there, but I never felt the J2 (2016) was a budget device with an underpowered processor and low memory under the hood. The display is good, too, and the phone’s design is also rather different than what we see on regular Samsung smartphones. But Smart Glow, the main attraction of this device, is not as useful as Samsung thinks it is. There really is no logic behind putting a notification light on the back of a phone, unless a majority of consumers out there like keeping their phones upside down. The low internal storage was another issue – I had less than third-party apps installed on the phone by the end of my review period, because storage kept running out and I had to uninstall anything that wasn’t an absolute necessity. At Rs. 9,750 (roughly $145) in the Indian market, the Galaxy J2 (2016) offers nothing special. Sure, for the average consumer who just needs Facebook and WhatsApp on a smartphone and takes a lot of selfies, the J2 (2016) could be a good purchase. But most folks would do well to put in a little more cash and go for something like the Moto G4 Plus or any of the high-value smartphones from Chinese manufacturers. Raise your budget higher and the Galaxy J5 (2016) becomes a much better alternative as well. Strange that Samsung did not present the Galaxy J2 2016 in Brazil. The Galaxy J2 2015 continues without a successor there, as does the Galaxy J1 Ace, Galaxy J1 Mini, Galaxy A3 2016 and Galaxy J3 2016. 1. Smart Glow was implemented to give the J2 a differentiating factor over vendors like Xiaomi for an insanely low price. It’s basically just a few LEDs, software that took a few hours to make, and they can push it out as a feature. 2. The notification sorting system is great, if only it didn’t go back on Samsung’s promise to use wording instead of ambiguous icons in its UI. All samsung phones outside of Note series and high end s seires, and A9 and A9 Pro, are junk. They have the worst low end phones ever made, Xiamoi Redmi and Meizu series are light years ahead of this junk. And what is even more funny than that, is, that Samsung barely uses its own SoCs and components, since they are more costly than a all-built-in Snapdragon (which they also throw in in most of their very-high-ends, in 90% of the markets to have better profit margins). But they sign a lot of deals with Xiaomi (and other chinese manufacturers) for their mid-range and high-end phones to use their components. Sure, those devices do not have the glossy glass back and front, but honestly … I prefer features over looks (personal taste though).